Last night, top NFL draft prospect Josh Allen joined the long list of young athletes who have seen their old, problematic tweets resurfaced. Yahoo compiled the since-deleted tweets, which were sent between 2012 and 2013, when Allen was still a teenager. As one does in a situation like this, Allen went about doing some damage control by... calling up Stephen A. Smith. 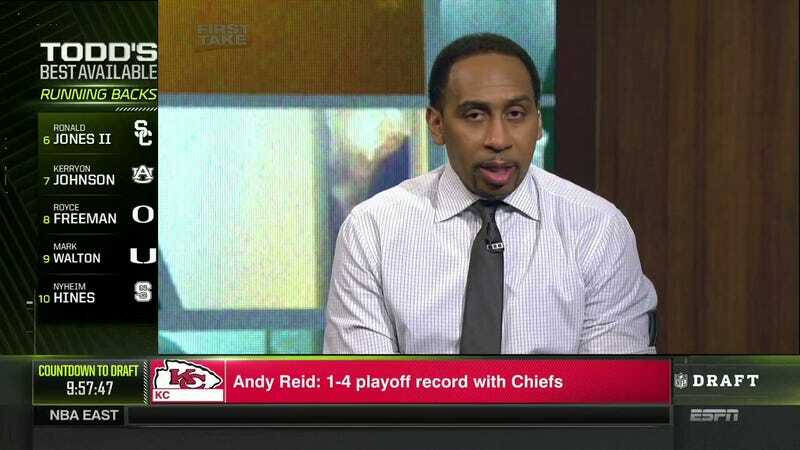 According to the First Take host, Allen called him last night—at 2:00 a.m.!—to explain and apologize for the tweets.